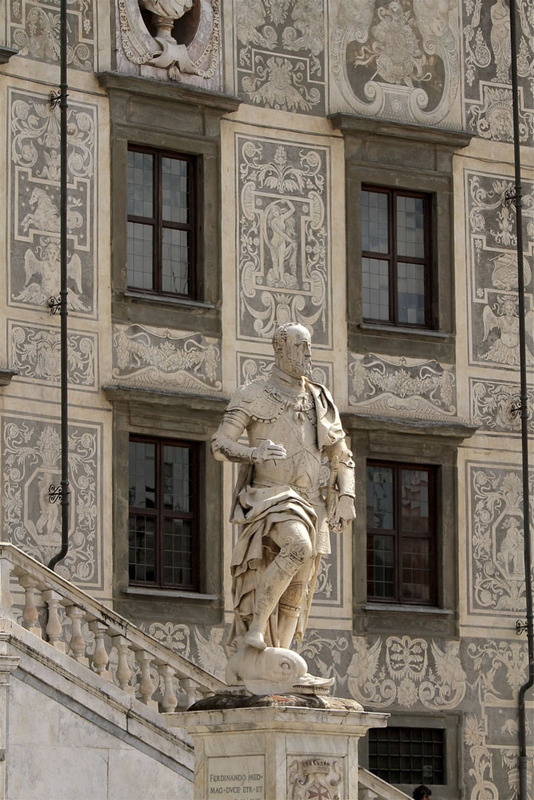 The Scuola Normale Superiore di Pisa is situated in Piazza dei Cavalieri, one of the most beautiful squares in Tuscany and the traditional heart of political life in Pisa. It was founded officially in 1810 by Napoleon Bonaparte and was to be modeled on the “École Normale Supérieure” that had already been set up in Paris. Entry to the school was reserved for the very best students leaving high schools. The term « Normale» refers to its principal mission which was to train teachers to work in secondary schools. They would then transmit these «norms» that would educate citizens to obey laws and the Emperor. 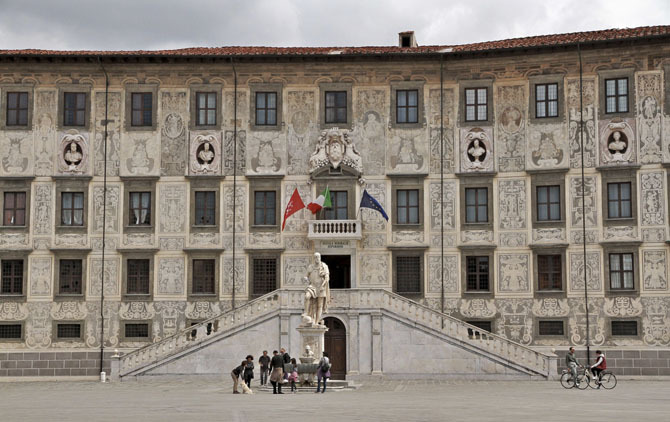 When Napoleon abdicated on 6th April 1814 Grand-duke Ferdinand III was restored to the throne of Tuscany. At first Ferdinand ordered the closure of the school, however a decree of 22 December 1817 re-established the educational activities of the ancient order of the Knights of Saint Stephen and later in 1843 the ruling council of the order set up a boarding school for young nobleman. The new school would develop “theory and practice” and was destined to train teachers for Italian secondary schools. In 1959 women’s section made it possible for women to study in the school too. 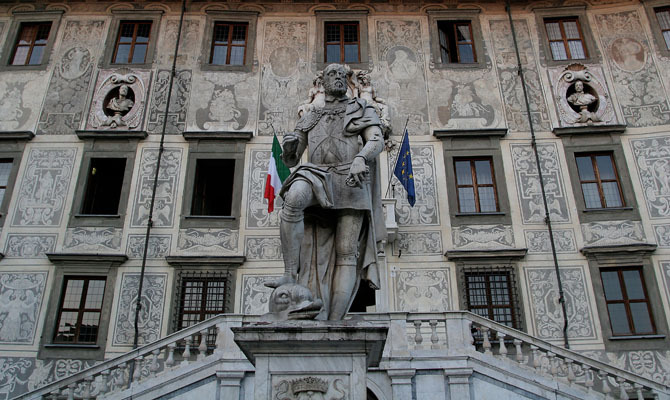 Nowadays the Scuola Superiore is an elite school which rewards talent and the innate abilities of its students. Its mission is to produce academics, professionals and citizens with a wide cultural base and a higher level of critical awareness. 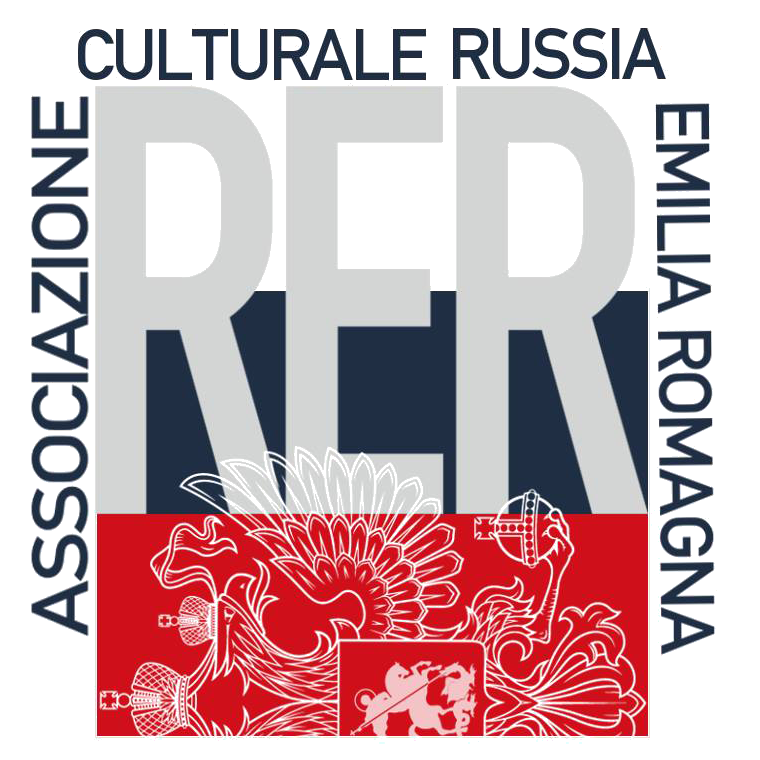 This historical and prestigious school has produced many great names of literature, linguistics and science who have made a major contribution to Italian culture and standing in the world.